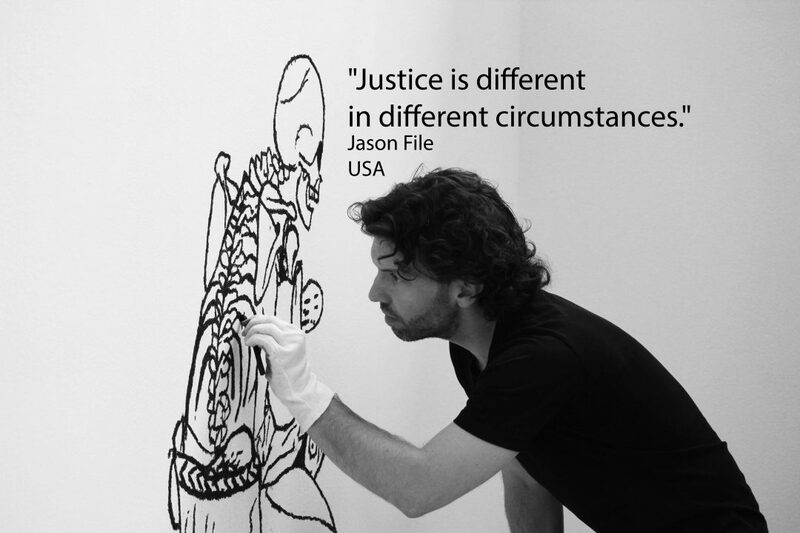 Jason File (1976) is a prosecutor at the International Criminal Tribunal for the former Yugoslavia (ICTY). He’s also an artist. He’s currently exhibiting his works at an exhibition in The Hague. “There’s a wealth of ICTY material that is very interesting to show in a different context. 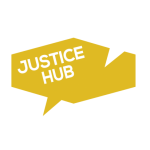 We have a huge electronic database at the Tribunal. Evidence collected in any tribunal can certainly teach us other things besides pure facts. It might teach us something about ourselves as well. “The ICTY investigation was done many years ago into mass graves in the former Yugoslavia. There are thousands of drawings like this. They were used for the autopsy reports. It was easier to see the orientation of the human remains on drawings than on photographs. The bodies were mixed together, covered with soil. “When I came across these drawings, I thought they might serve another purpose. Taken out of their context and shown separately, you could learn a lot about individual judgment. Seeing these things – life size – reminds you of the individuals who were there. It’s not just collecting evidence. They become human. “I know where each of these items came from, but I don’t share that information. It’s more interesting if it’s left unknown. Each one of those individuals can occupy a symbolic role. For example, this one, it looks like the hands are bound together. One of the important facts was to find out whether they were blindfolded or whether they had their wrists bound, things that would indicate mass murder. “We are twenty years after Srebrenica. I don’t know if this is a commemoration. I guess it’s just looking at ways that the art world might address these issues. It’s a tragedy and these people are unable to relate their own experience. The only way to learn about their final moments is through forensic investigation or through witnesses who may have survived. “It’s painful for me too. Part of this is maybe my own human reaction to the materials that we are confronted with on a regular basis, working with these kinds of events. It can be gruesome and troubling. “One of the nicest parts of it is that we are together, and I have a wonderful group of colleagues. People do help each other deal with it because we are all in the same boat, lawyers and investigators at the ICTY. “For me, justice is about fairness. There is obviously no way to bring back the thousands and thousands of people who are no longer with us. But we are all doing our best to see that justice is done. The work of both Jason File and Peter Koole is featured in the exhibition A crushed image (20 years after Srebrenica) in The Hague.